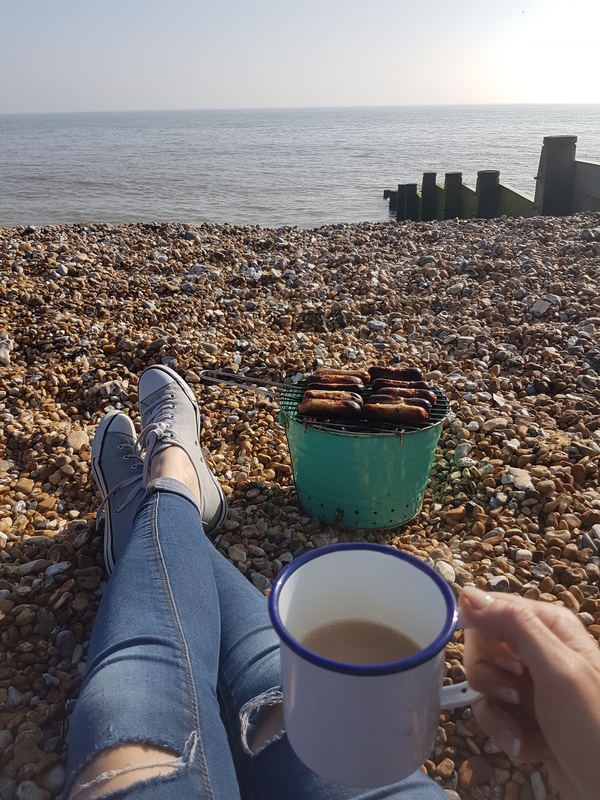 It’s been the Easter holidays here this week and we have been out and about enjoying the spectacular sunshine that we have been lucky enough to have in our corner of Kent. 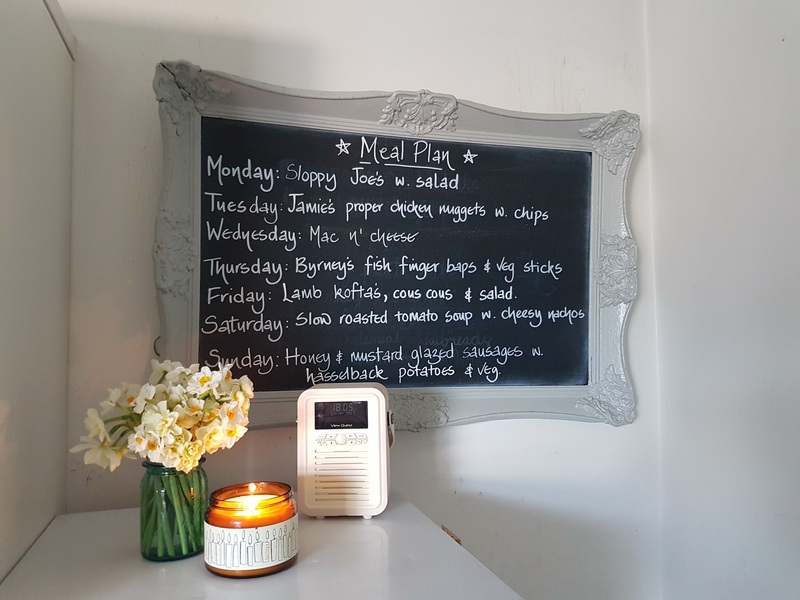 In the holidays the temptation is to plan more ambitious meals because I’m at home, but invariably we end up being out a lot and I find I’m rushing to prepare things. This was something I really considered when writing last week’s meal plan. Who wants to be slaving away in the kitchen when it’s sunny and we could be down the beach?! But I still wanted to obviously provide balanced and reasonably healthy meals. So with that in mind I planned some child friendly meals that would require minimum preparation but maximum nutrition (I hope) and ones the kids could help prepare. About once a month I have a bit of a cooking session and try to fill up the freezer. I generally make a ton of bolognaise, some veg pasta sauce (recipe here but don’t be afraid to chuck in any veg you have) and things like meatballs or burgers from scratch. This means I’m guaranteed to have something half decent at hand on the days when I can’t be bothered or don’t have time to cook. Obviously you could buy the meatballs but I like to know what’s in them and they’re really easy – I always think they’re going to take ages but 5 minutes prep and a few minutes to cook and they’re done! Just blitz up some mince (beef or turkey mince works well) with a couple of handfuls of breadcrumbs and a little seasoning. Add an egg yoke to bind it all together and roll into balls. Then pop them in the fridge for half an hour before frying in a small amount of oil until they’re golden brown. They will then freeze fine or you can use them straight away. Chop an onion as small as you can and soften in a small amount of oil. Do the same with a couple of carrots and a pepper, courgette or any other veg you have lying around. I use a mini Kenwood food processor to do this. Soften all the veg with the onion. Add a tin of chopped tomatoes, some basil and maybe some chilli flakes. Pop in the defrosted meatballs (fry these off before if you’re using shop bought ones) and cook for ten minutes or so. I then chop a ton of veg sticks and put them in a bowl or platter on the table. 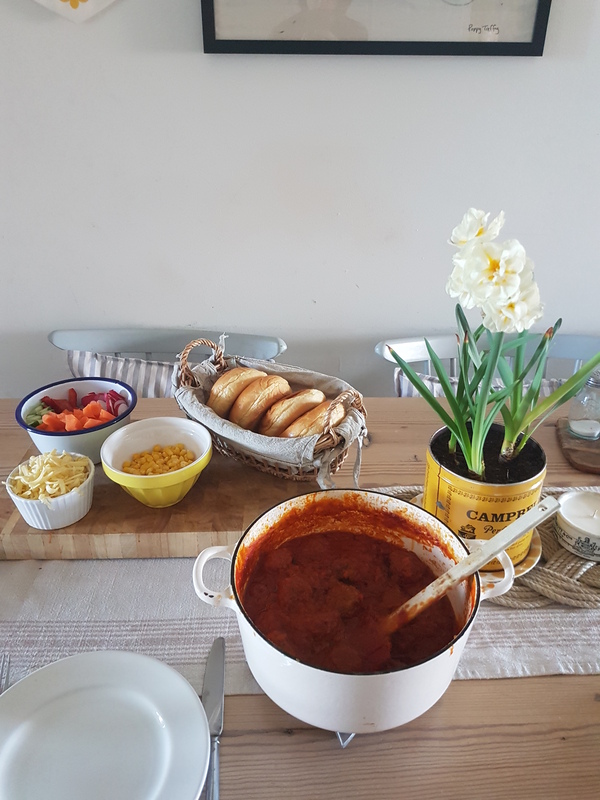 Sometimes I put these out before the food is ready because if the kids are hungry they’re guaranteed to tuck in, and who says they need to have the veg with the rest of their meal?! 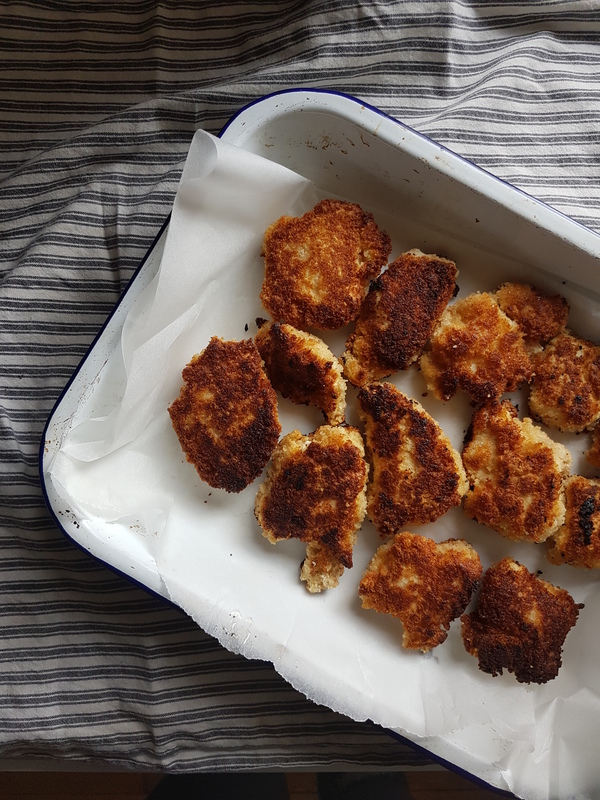 On Tuesday we had chicken nuggets which again I made from scratch. This was a bit more of a faff if I’m honest but the kids loved them and again, I knew exactly what was in them. I used Jamie Olivers recipe for Proper Chicken Nuggets but you could leave out the parmisan. I served them with potato wedges and cooked veg. They went down a storm! Macaroni cheese is always a hit, although mine never seems to freeze too well, recipe here. I serve it with garlic paninis which I make by softening butter, adding a few cloves of crushed garlic and a pinch of parsley and then spread it on paninis and grill. A trip to Kew Gardens and a busy, brilliant weekend meant the end of the week went a bit pear shaped (see, I’m human!) 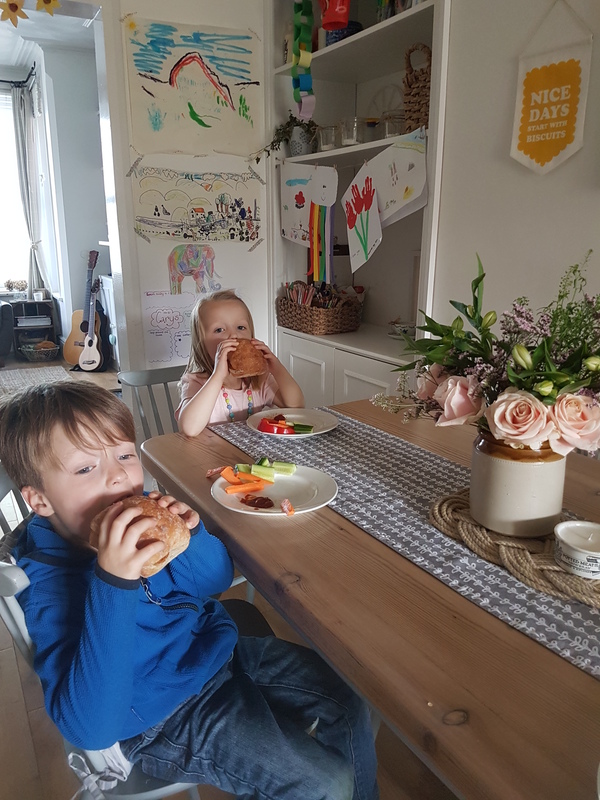 so we had the fish finger baps on Friday (which the kids loved!) and the rest will probably get carried over to this week!! Meanwhile, on Sunday we packed up the bucket BBQ and the beach shelter and took sausage sarnies down to the beach for brekkie. It was a gorgeous warm morning and the whole thing made me feel a bit soppy about living on the coast. I’d recommend it if you ever have the opportunity!!! As always, let me know if you try any of the recipes or if there’s anything else you’d like to know about the food on the meal plan.